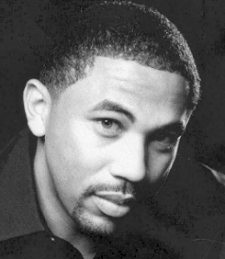 WDAS/Philadelphia names Adimu Colon as the new host of "The Quiet Storm," effective, immediately. "The Quiet Storm" airs weekday nights from 7-12am and features Contemporary R&B performed in a smooth, romantic, jazz influenced style from artists such as Luther Vandross, Marvin Gaye, Mary J. Blige and Toni Braxton. The show is historically one of Philadelphia's the top rated during its time slot. Colon joins WDAS from Washington, DC, where he most recently served as an air personality for WPGC-FM as well as afternoon drive host and Assistant Program Director & Marketing Director for WMMJ-FM. His radio background also includes working at WBLS-FM/New York, KKBT-FM/Los Angeles and WOWI-FM/Norfolk. Additionally, Colon served as a television personality on BET Networks and is a graduate of Hampton University. "Adding a talent likes Adimu to our roster cements WDAS position as the market-leading station for the best in R&B," said iHeartMedia Philadelphia Director of Urban Programming Derrick "DC" Corbett. "It's phenomenal for both the radio station and for the city of Philadelphia as he is the perfect match for our top-rated night show. He joins a group of legendary on-air talent who laid the foundation at WDAS as well as the unmatched tam of on-air personalities who turn the mics on daily in our studios." "I'm extremely humbled and grateful to everyone at iHeartMedia for this opportunity to get to know and connect with WDAS listeners in the city of Brotherly Love," added Colon. "The WDAS brand is legendary in both Philly and in radio and I'm excited to continue in its rich history of serving the people of Philadelphia."